Suboxone Secrets: What they don't want you to know about Suboxone and Subutex. Suboxone secrets. Suboxone is the original brand of buprenorphine that was approved by the FDA for treating patients with opioid dependence. It contains buprenorphine, the main active ingredient, and it includes naloxone, an abuse deterrent. When I use the name Suboxone, I also mean any medication approved for treating opioid dependence that contains buprenorphine. This includes Suboxone, Subutex and Zubsolv and other brand and generic versions of these medications. Suboxone Secrets Number One: Suboxone is cheaper than water. Most drugs are very cheap to manufacture. When the manufacturing process is scaled up, it costs very little to make large quantities of a pharmaceutical product. So how is it possible that a prescription for a month’s supply of Suboxone can cost $600? How do they justify charging $10 for a Suboxone film or a Zubsolv tablet? These brand name medications are almost always very expensive. The companies that make them have patents that give them a period of time where they are the exclusive manufacturer. They take advantage of this time to recover costs of research and marketing. There is also a lot of profit to be made for the shareholders. So, why are the generics also expensive? Why is it $4/tablet instead of $4/month? This is likely due to consolidation of the generic manufacturing market and limited approvals for generic manufacturing. Often, for an explanation, you can follow the money and trace the answer back to the original patent holder. Suboxone Secrets Number two: Naloxone in Suboxone doesn’t do anything at all. It is an unusual situation for a doctor. We must explain to our patient the purpose of an abuse deterrent drug that is added to their medication. Naloxone has no effect at all when Suboxone is taken as directed. It is added for the purpose of making a person sick if they try to inject their Suboxone. According to the recent CDC report on opioid prescribing, the most common form of abuse is taking the opioid orally. Injecting medication intended for oral use is relatively uncommon. For those few people who do adulterate there medications and inject them, they will get very sick from the added Naloxone. For most patients who take Suboxone as directed, Naloxone will not affect them. When you take Suboxone as directed, naloxone does nothing at all. Suboxone Secrets Number three: Suboxone is hard to quit. For some people, Suboxone can be harder to quit than their original opioid of choice, including heroin. 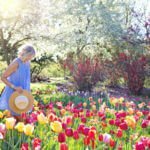 This is very important to consider when starting a medication assisted treatment program to quit opioids. Why would you want to trade one addiction for another? What is the point of quitting if you are still taking Suboxone, an addictive opioid? Believe it or not, there are some very good reasons. First, Suboxone is safer than most opioids of abuse. Overdose is much less of a risk. Second, Suboxone does not have the sedating effects common to other opioids. You can function normally with a clear mind. Third, Suboxone prevents the dangerous cravings that lead to relapse. So, while Suboxone may be hard to quit, it can be life saving for someone abusing opioids such as heroin, fentanyl, oxycodone, hydromorphone, hydrocodone and others. Suboxone Secrets Number four: Taking Suboxone for a very short time is not the best way to quit drugs. There are two ways doctors prescribe Suboxone and other forms of buprenorphine. First, the quick taper is a short term use. This means that you would be prescribed Suboxone for a short time, usually one or two weeks. Maybe four weeks at the most. During this short time, the dosage would be reduced at a rapid rate until you are not taking anything at all. This quick tapering was much more commonly used when Suboxone was first approved for use. The problem is that there is a high rate of relapse with quick tapering. Getting to a point of complete abstinence from drugs is a great goal, but it takes time and requires preparation and support. The better way to prescribe Suboxone is long term maintenance with therapy. Don’t plan on stopping Suboxone before three months. Many people stay on Suboxone for up to a year or more. If you want to quit, go to 12 step meetings every day. Develop a support system of friends in recovery and call them daily. Get a sponsor and call your sponsor every day. See a licensed private therapist at least monthly if not weekly. Quick tapering without a solid support system in place can be dangerous. 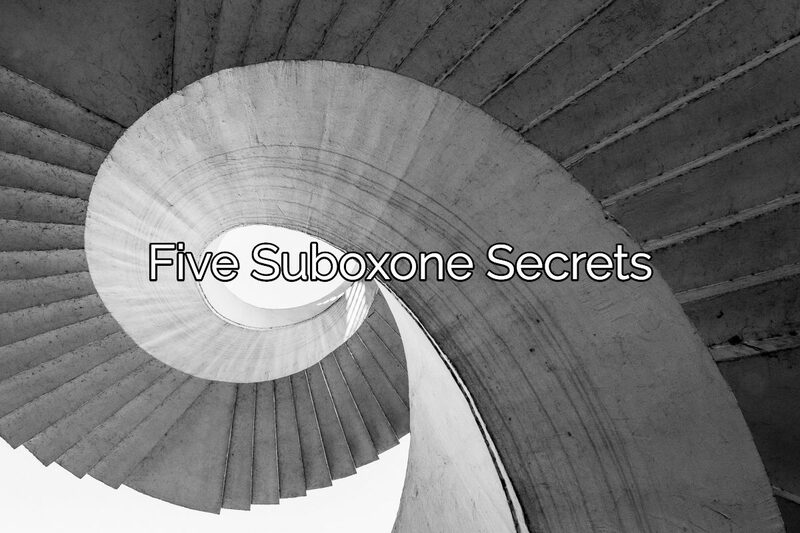 Suboxone Secrets Number five: Suboxone works best when you follow the program. When you leave the doctor’s office with your prescription, you may have your own plan of treatment. You may decide to forget about the appointment with the therapist. Forget the 12 step meetings. Forget going back to the doctor for the follow up appointment. Those things are a waste of time. You know best. Cutting up your Suboxone films and taking pieces as needed. Skipping days. You take a little extra when you need it. This might seem like a good plan at first. It might get you through a few days or even a few weeks or months. Eventually, it will catch up to you. The effects of addiction make it difficult to trust your own thoughts when you are first getting clean. Often, your thoughts are rebellious and may lead you back to active addiction. 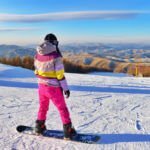 Find a good sponsor with over one year of clean time. Find a sponsor who has worked through all 12 steps with their own sponsor. You need people you can trust to help you to do the next right thing during these dangerous times when you cannot trust your own thoughts. You need to follow the plan. Take your medication as directed. Go to group meetings. Go to private therapy. If you live in Fort Lauderdale or Broward County and you want to quit heroin or pain pills, please call Mark Leeds, D.O. Dr. Leeds is an Osteopathic Physician who has focused his practice of medicine on the treatment of patients with opioid dependence and addiction. If you are interested in getting clean in a safe, peaceful setting, please call today: 954-776-6226.